Need a gift idea for dad this year? 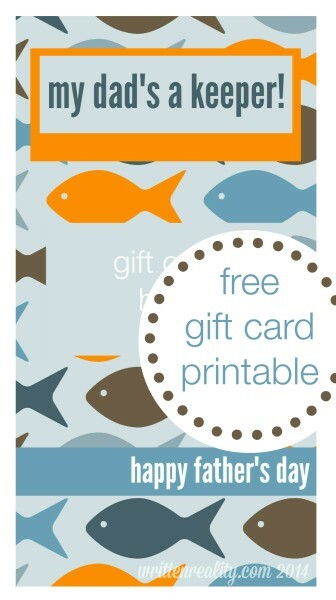 Every dad loves a great Father’s Day card with an attached gift card. Here are free printable Father’s Day Cards every dad will love! 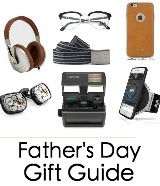 Trouble finding just the right gift for the dads in your life? 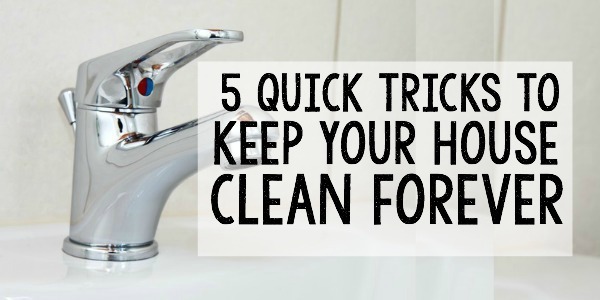 Tired of the same old neckties and socks routine? These printable cards are sure to please the men you love. Our dads have all sorts of hobbies and interests. That’s why these printables are perfect for Father’s Day.Each of these Father’s Day cards are simple printables with just the right message for every dad. No matter what Dad’s hobby, he’s sure to love one of these. 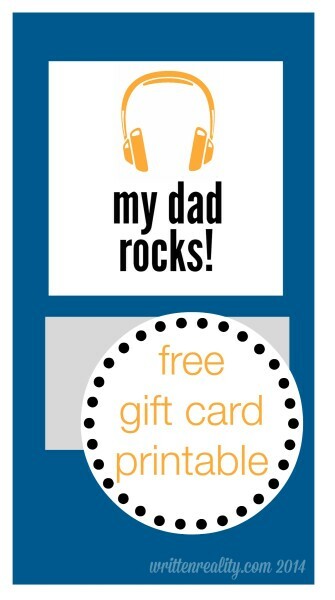 Even better, each card has a special spot where you can attach a gift card to your dad’s favorite place to shop. That way, you dad is sure to get just what he wants for Father’s Day this year. Just grab your dad’s favorite gift card and go! 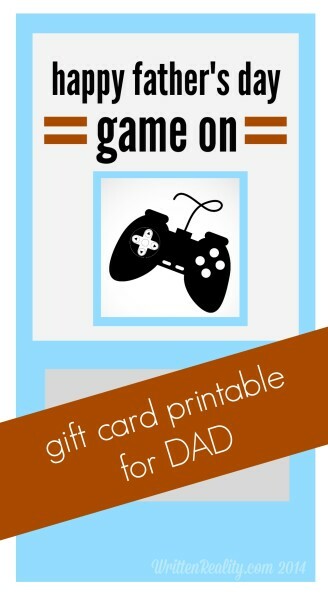 If your dad’s a gamer, choose a gift card from Gamestop, Best Buy, or anywhere that sells his favorite video games. Print out this Gamer Dad card and you’re set! Is your dad a fisherman? 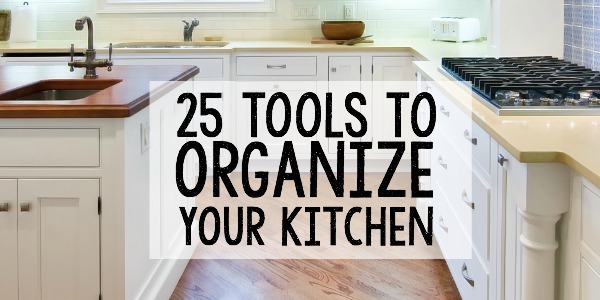 Then check out this fun printable. Grab a card from Bass Pro Shop, Cabela’s, or your dad’s favorite bait and tackle shop. My husband would love this one! 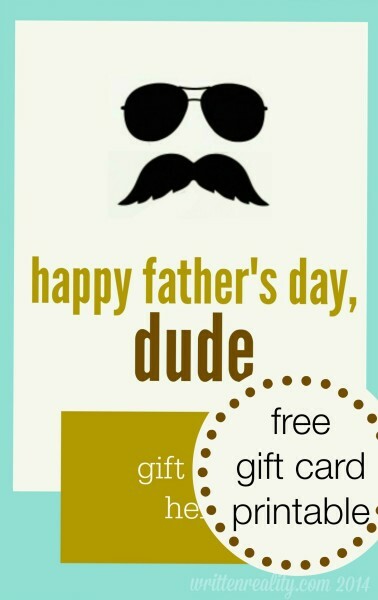 Just purchase an iTunes card or even a gift card from your dad’s favorite music store and you’re set! Why not an Amazon Gift Card for everything else? 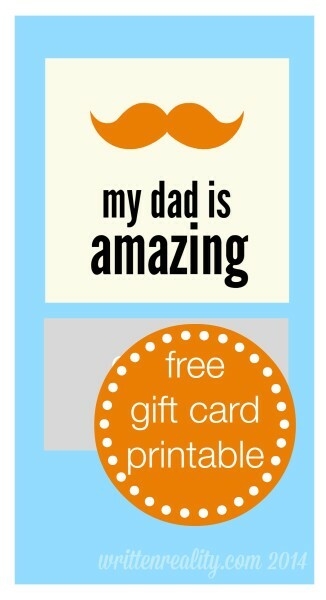 Just attach the card and tell your dad he’s AMAZING! He’ll love this one because with Amazon, the gift ideas are endless! Still not sure what to choose? Then grab this one –just because. 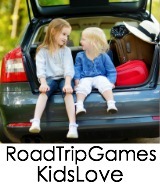 Your dad will appreciate the simple fun of this one and you can attach a gift card from anywhere your dad would like to go. These are really cute. I would certainly have to take advantage of the video gamer tag. My husband is the video game king. Those are absolutely adorable Mitzi! And perfect for kids of all ages to give to their Dad’s. You did a fabulous job on them. I really love those cards. I’ll have to see about using them. Very nicely done Mitzi. Tough to pick a favorite but I have to go with My Dad’s a Keeper. Love these. Perfect for Dad. Manly graphics are tough and these nail it! thanks, Pam! I guess living in a house full of men helped! 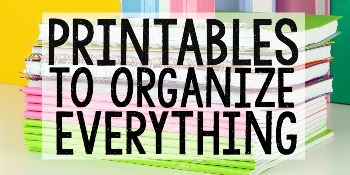 Awesome printables and great gift ideas! Pinning! 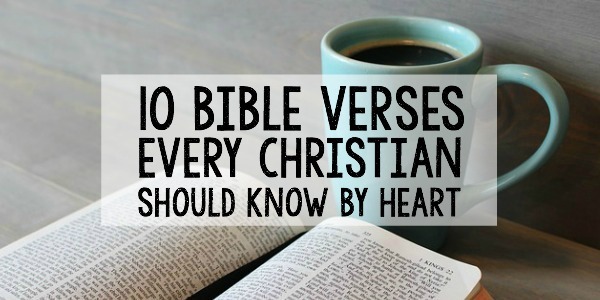 Great share – thank you! Pinned to my Gifts for Him board – Bonnie @ Mom’s Lifesavers Have a great Monday! thanks, Bonnie! and I’ll check out your Gifts for Him board-sounds like a board I’d like to follow. So festive and so cute! SO cute and perfect for any Father. Thanks for the free printables Mitzi! You rock! Thank you Mitzi for sharing the printables. And for stopping by this weeks WW. Just in time for Father’s Day. I love the different themes. Thanks for sharing! Wow! These are amazing. Thanks for the great printables. I’m definitely pinning them! I love how you have put together printable cards for different “types” of fathers! My son is so excited about the Gamer one! Found this at the Pintastic Pinteresting Party! My dad just passed – this will be our first father’s day without him. I would have love to print these out for him. Love your site! I’m so sorry, Carolann. I lost my dad on Thanksgiving Day several years ago. Thankful to have been blessed with such a wonderful father. I Pinned it, thanks for sharing! Hello from Oh My Heartsie Girl’s Wordless Wednesday. These are absolutely adorable, what a cute gift for Father’s Day! These cards are adorable. 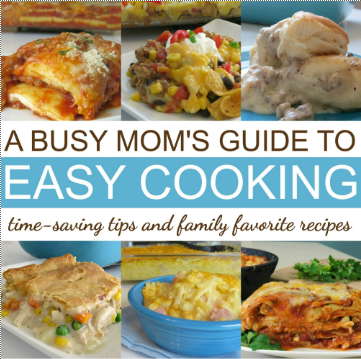 Thanks for linking to the Bloggers Brags Pinterest Party. 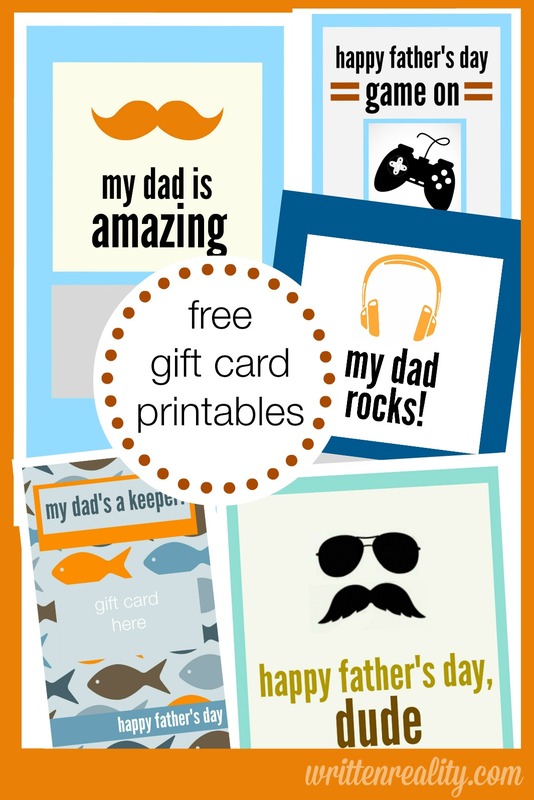 These are great printables for Father’s Day! Thanks! Super cute card ideas! Pinned! Great post – I really like the art work! Oh these are so cute – I will have to keep them in mind for next year. Thanks for linking up to The Creative Exchange Linky Party. Super cute ideas! Thanks for joining in at #ThrowBackThursday ! Hi Mitzi. 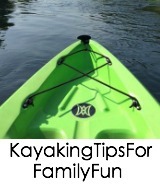 Thanks for linking up at the Pintastic Pinteresting Party. Very clever printables. I think I am going to send a link to my daughter for future use. Thanks again for sharing.